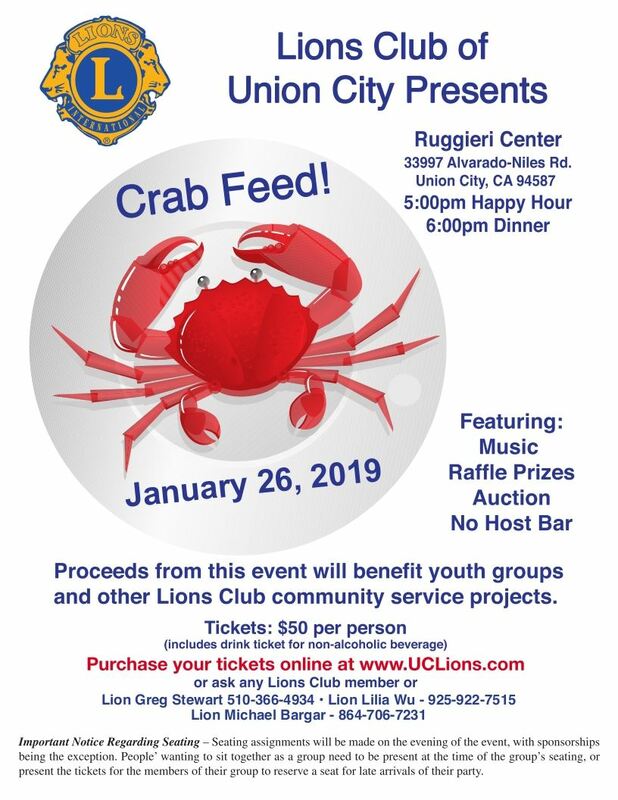 The Crab Feed is being organized for 2019, which is very Good NEWS for our Lions Club and our community WE SERVE! The Crab Feed is scheduled for Saturday evening, January 26, 2019! Please mark your calendar, our Club appreciates your active participation with this event. Currently Sold Out. You can Join the waitlist if any spaces become available we will contact you. Thank you for your support.